FACT CHECK: Did Indiana Gov. Eric Holcomb Sign a Law Mandating Women Disclose Abortions or Face Jail Time? Did Indiana Gov. 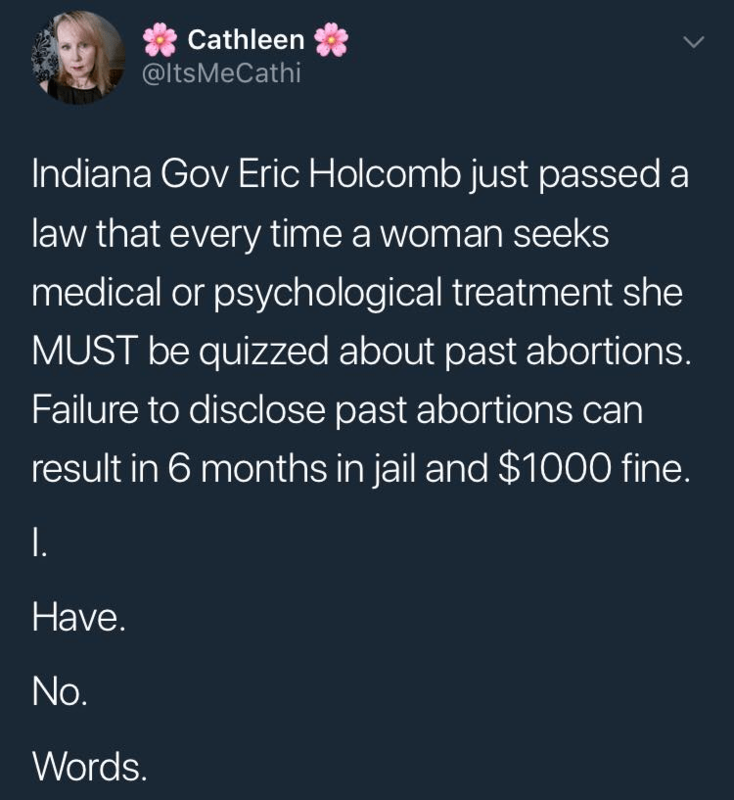 Eric Holcomb Sign a Law Mandating Women Disclose Abortions or Face Jail Time? Vague social media posts and news items led to confusion over a broad Indiana law addressing "abortion complications." Indiana Gov. Eric Holcomb passed a law that will lead to jail time for women who fail to disclose abortions. Indiana Gov. Eric Holcomb signed a bill into law mandating that health care providers gather and report certain information whenever they treat patients suffering from abortion complications. The law posits legal penalties (including jail time and fines) for health care providers who fail to report information about patients with abortion complications, not for patients who fail to disclose such information to their doctors. A new state law directs Indiana doctors and hospitals to investigate every time a woman seeks treatment for a physical or psychological condition whether she previously had an abortion that is in any way connected to the ailment. If so, the care provider is obligated starting July 1 to submit a detailed “abortion complications” report to the State Department of Health, or risk being charged with a Class B misdemeanor, punishable by up to six months in jail and a $1,000 fine, for each instance of noncompliance. Republican Gov. Eric Holcomb, who routinely describes himself as “pro-life,” approved Senate Enrolled Act 340 with little fanfare prior to departing on three-day Canadian trade mission. Senate Enrolled Act 340 was authored by Indiana State Senator Travis Holdman in January 2018; it was signed into law by Gov. Eric Holcomb on 25 March 2018. That bill amended existing law to require that health care providers “report to the state department each case in which [they] treated a patient suffering from an abortion complication,” and to require that reports of abortion complications (including psychological or emotional complications, depression, suicidal ideation, anxiety, and sleeping disorders) contain information such as the age and race of the patient, the type of abortion procedure used, and where that procedure was performed. The bill says that each failure to report an abortion complication as required is a misdemeanor. Opponents of SEA 340 said the abortion complication reporting requirements are overly burdensome and view the law as the state’s latest attempt to restrict abortion access. “It seems to me that this is an attempt to make this appear like a dangerous procedure, and it’s not,” Errington said. Holcomb said the bill’s language is commonplace in other states. 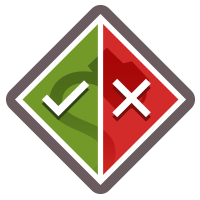 “This bill does what 27 other states have done to gather information on these procedures without restricting access to them,” Holcomb said in a statement. Richard Feldman, a family physician and the group’s legislative chairman, said the bill’s reporting requirements went too far and could create barriers in the doctor-patient relationship, even for physicians who don’t perform abortions. Indianapolis Star. 26 March 2018.